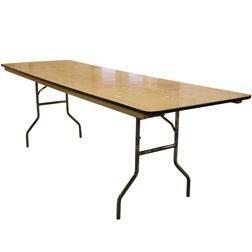 8ft Rectangular Table(Seats 8-10), price doesn't include chairs or delivery. Not available with Jump rentals. Delivery doesn't include setup or takedown.